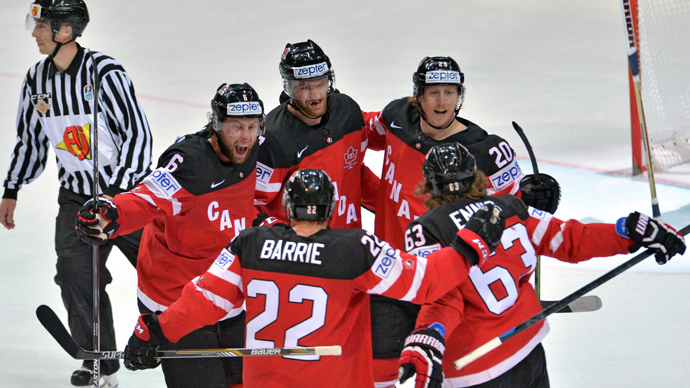 Canada has regained the world hockey crown after eight years, thrashing defending champions Russia 6-1 in the final of the world championships in Czech Republic’s capital, Prague. The Canadians secured their place in the final at the O2 Arena in Prague, Czech Republic as favorites after winning all nine games in the tournament and scoring an impressive 60 goals. Russia’s ride to the decisive match was a bumpy one, with problems in defense and losses to the US and Finland in the group stages. The only thing speaking in the favor of Oleg Znarok’s men ahead of the game was the statistics as Russia beat Canada in four of their previous world championship meetings, including two finals in 2008 and 2009. The Canadian pressure paid off two minutes before the end of the opening period as Cody Eakin did a great job on the crease, redirecting the puck into the Russian net after an effort from Tyler Ennis, 1-0. There was more bad news for Russia at the start of the second 20 minutes as Ennis doubled Canadian lead, skating behind the goals and upsetting netminder, Sergey Bobrovsky, in the far corner. Sydney Crosby and Tyler Seguin scored a goal each in the middle of the period to make the Sochi 2014 Olympic champions unreachable, 4-0. 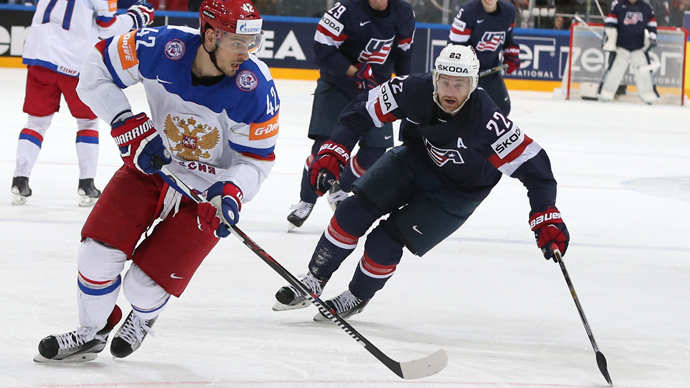 Alex Ovechkin, Evgeny Malkin and the rest of the team worked hard to bring Russia back into the match in the third period, but their effort were in vain. In the 49th minute of play, Claude Giroux scored Canada’s fifth goal of the night, thanks to a clever pass from Crosby on powerplay. Just a minute later, Russia’s keeper failed to cope with a rather simple shot from Nathan Mackinnon, 6-0. Malkin finally managed to beat Canadian netminder, Mike Smith, scoring a consolation goal for Russia with 7 minutes left to play, 6-1. Canada has regained the hockey crown after a break of eight years, winning its 25th world champion’s title in history. Team USA have claimed bronze medals by beating tournament hosts, the Czech Republic, to third place. The Americans scored a goal in each period – through Nick Bonino, Trevor Lewis and Charlie Coyle – to bag a confident 3-0 win.